This is a multi-part blog post dealing with the issues upon arrest & consequences of a conviction or plea bargain in Texas domestic violence cases. The focus of this post is a domestic violence offender gun ban. Can I own or possess a firearm while out on bail? No! Under 18 U.S.C. § 922(g)(8) (The Lautenberg Amendment) it is a Federal felony to be in possession of a weapon or ammunition while under a restraining order involving domestic violence or abuse, and that includes military and peace officers. Under Texas law, after arrest a magistrate will usually issue an emergency protective order, which can prohibit the arrested person from possessing a firearm, unless the person is a peace officer. Tex. Code Crim. Proc. Art. 17.292. The magistrate or judge assigned the case can make additional bond conditions, which prohibit the accused from possessing a firearm while the case is pending. However, Federal law supersedes state law. What happens if I have a right to carry handgun license? Under Texas law the magistrate can suspend a license to carry a concealed handgun Tex. Code Crim. Proc. Art. 17.292 but that has been superseded by Federal law 18 U.S.C. § 922(g)(8 and 9) and you cannot purchase, acquire, or be in possession of firearms or other dangerous weapons, e.g., swords, grenades, explosives, ammunition, etc. This is a felony with a mandatory minimum of 5 years in prison if convicted. If you have a gun collection, swords, etc., the Bureau of Alcohol, Tobacco, Firearms, and Explosives (BATFE) approved method of storage after issuance of a restraining order or being charged with domestic violence is with an attorney, with the police or sheriff, or with an approved firearms dealer. What kind of conditions will I be under while out on bail? 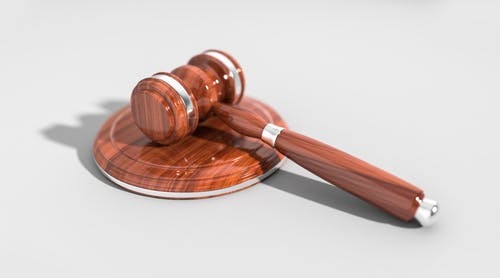 A magistrate can require any condition to bail that he or she finds to be reasonable as long as it is related to the safety of the victim or the community Tex. Code Crim. Proc. Art. 17.40. “Conditions Related to Victim or Community Safety”. In most cases this will mean there is to be no contact between the alleged victim and the defendant. Once the case has been assigned to a court, that judge may order additional conditions of bond. A judge in Collin County, Texas, has made it a practice to require the accused to attend a weekly batterer intervention counseling program for eighteen (18) weeks even though there has been no conviction. You may also be required to wear an electronic location-monitoring bracelet, attend alcohol or anger management classes, and etc., all before your case goes to trial. The prosecutor must notify family law court of an arrest for domestic violence if temporary orders regarding custody or possession of a child are in effect. The prosecutor must notify a family law court of an arrest for family violence if the family law court had previously entered temporary orders. Tex. Code Crim. Proc. Art. 42.23. “Notification of Court of Family Violence Conviction”. This affidavit is a legal document from the victim informing the authorities prosecution is not desired and requesting the case to be dropped. What happens if my spouse or girlfriend executes an affidavit of non-prosecution? The charging decision belongs to the government. In all likelihood, the State will prosecute the case anyway.